Playing against Lissandra is often cited as one of the most frustrating match-ups, especially for a top laner. However, since she's played 90% in mid-lane, I'm going to focus in on how to beat her as mid-laner for this article. Up there, you're just going to have to beg for a gank. Sylas - When it comes to countering Lissandra, Sylas isn't the first champion that comes to mind. However, his abilities mirror Lissandra's but play out just ever so slightly better as a result of his stronger dueling passive. His ultimate also negates Lissandra's, and because he can push faster, he often ends up getting Lissandra's ultimate before she does. Morgana - Lissandra's main weapon is her crowd-control. In lane and in game, Morgana's black shield negates all of it. 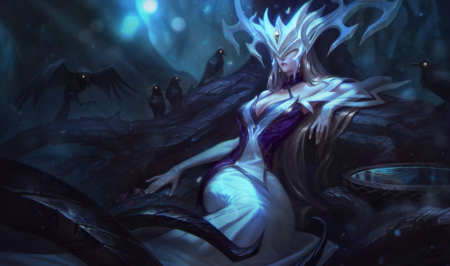 Morgana also plays a very non-commital type of laning, which means Lissandra has little opportunity to poke her and has to reserve her mana for keeping the wave in a neutral spot. Anivia - Anivia's an interesting pick against Lissandra. She doesn't necessarily counter Lissandra, and in lane she's much more of a skill-based match-up. However, later in the game she can absolutely destroy Lissandra's engagement potential by blocking out the enemy team with her wall and leaving a rather nasty present for Lissandra as soon as she comes out of invulnerability. Got more tips for beating Lissandra or champions that work well? Comment below!